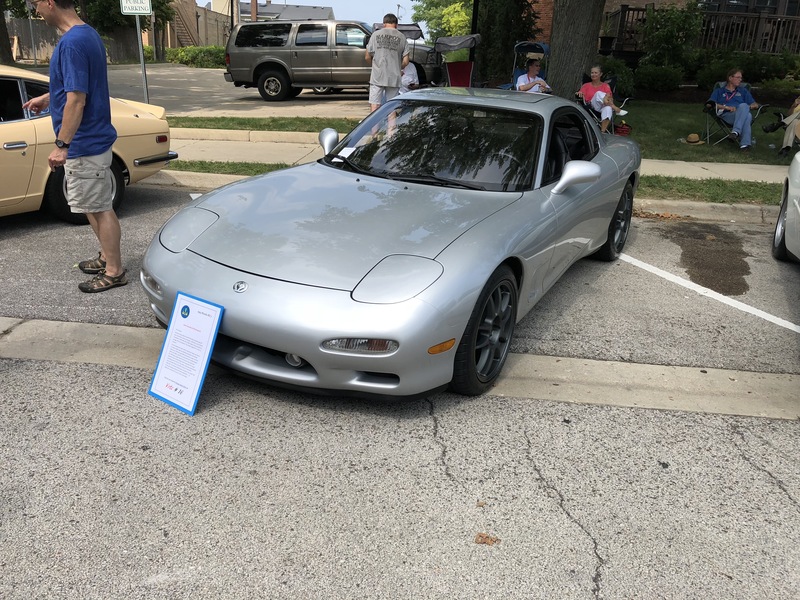 This story begins in September of last year (2017) at a coffee shop in Geneva, Illinois. 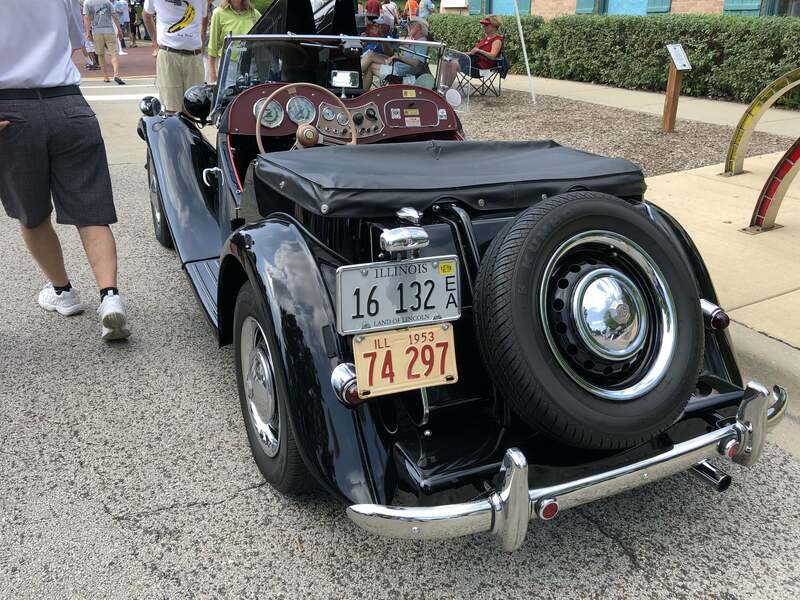 A meeting with John and Patt Barrett, Geneva Concours d’Elegance Directors, and Steve Laske a Chicago Region board member. 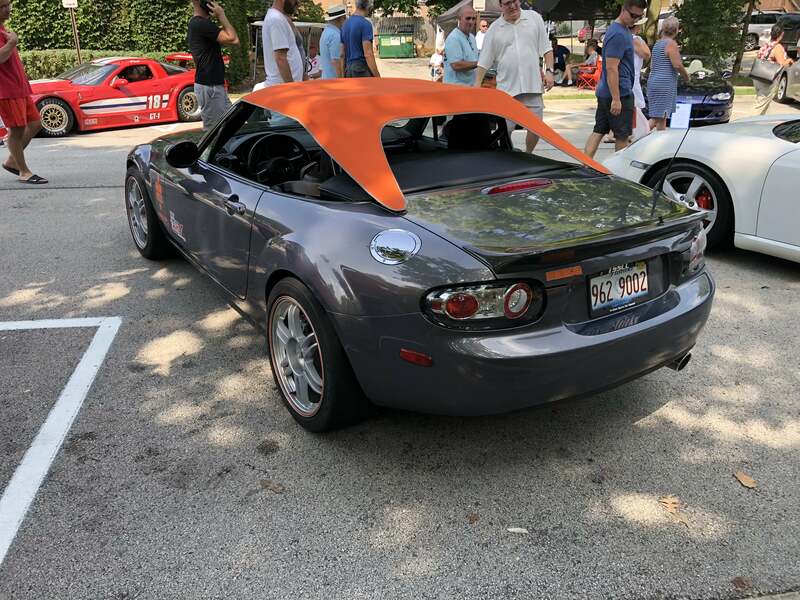 The conversation begins with Steve inquiring with John and Patt about the possibility of the Chicago Region SCCA participating in the Geneva Concours as part of the Region’s 70th Anniversary. 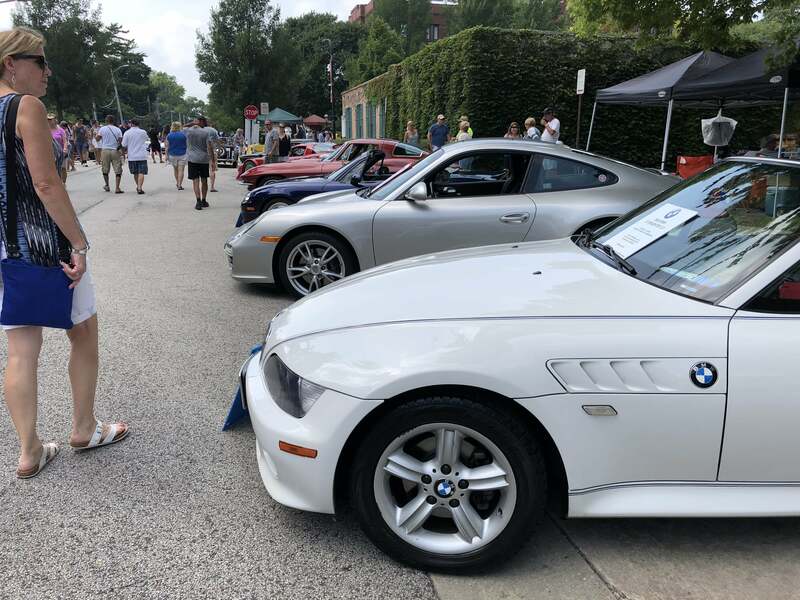 Discussion followed and ideas were exchanged and soon an agreement was reached and the Chicago Region’s “Concours for Sports Cars” was part of the show. 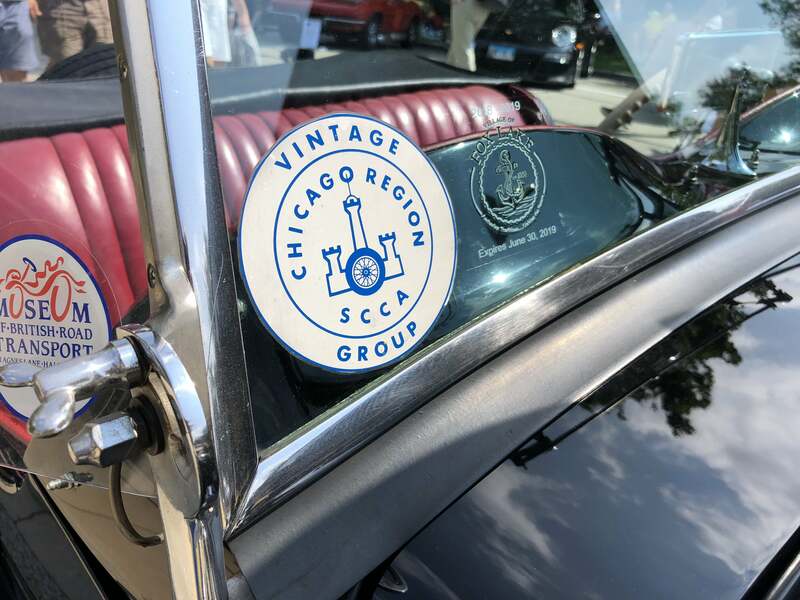 Check Chicago Region website for more Concours photos. 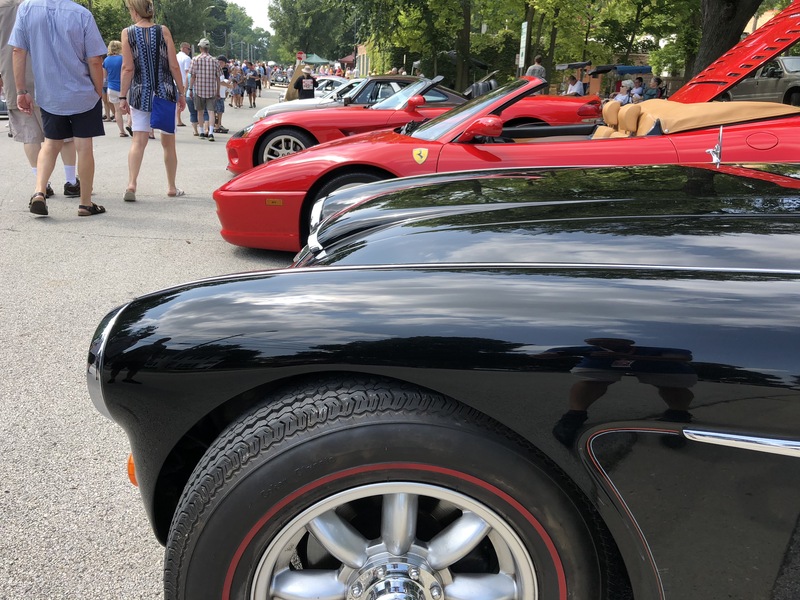 The Geneva Concours d’Elegance is a first class event, the premier automobile concours in the Chicago area, now with a 14 year history. 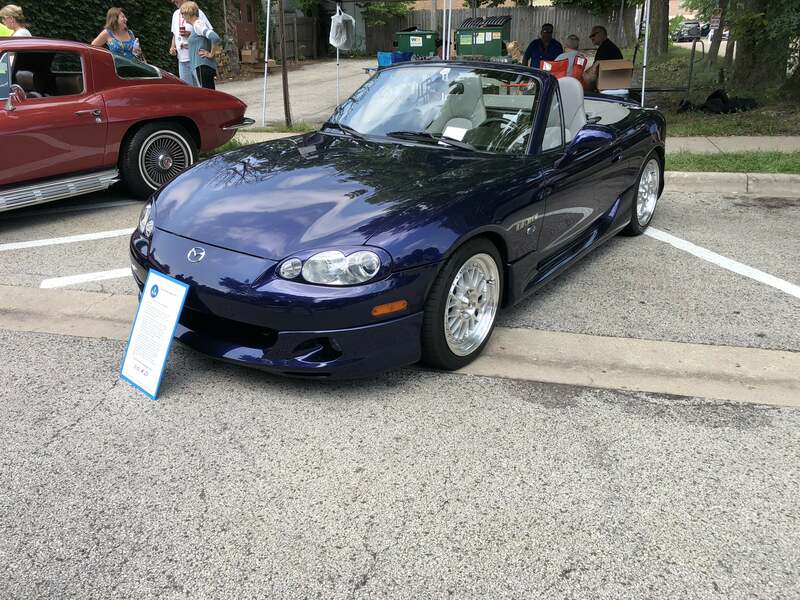 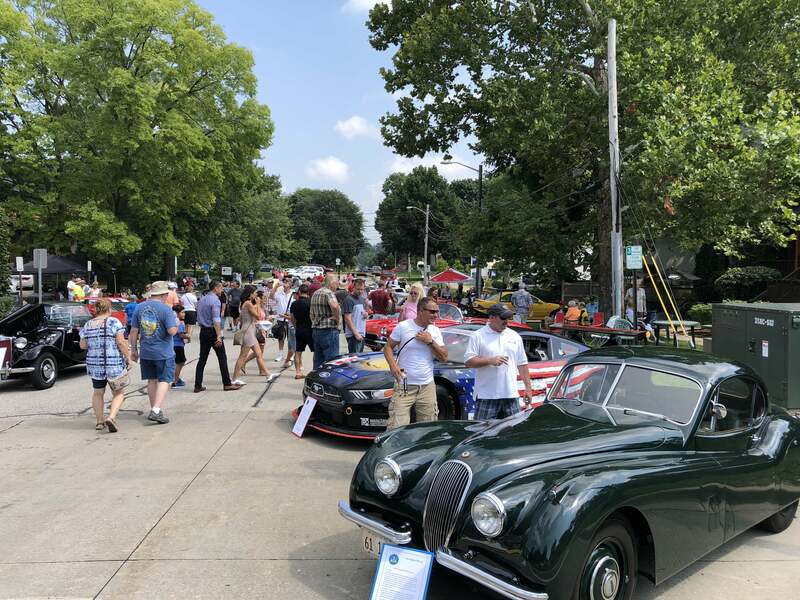 The concours is a celebration of the “Art of the Automobile” and a benefactor for the Living Well Cancer Resource Center, in Geneva, Illinois. 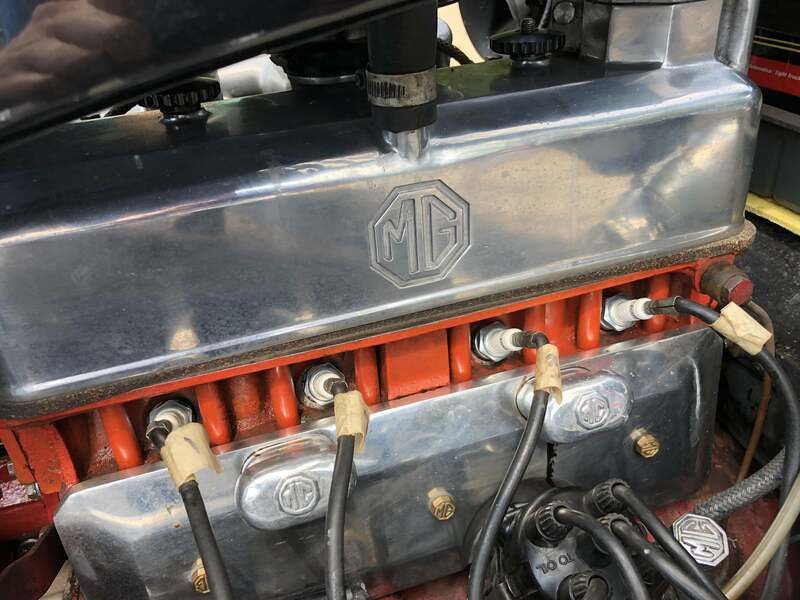 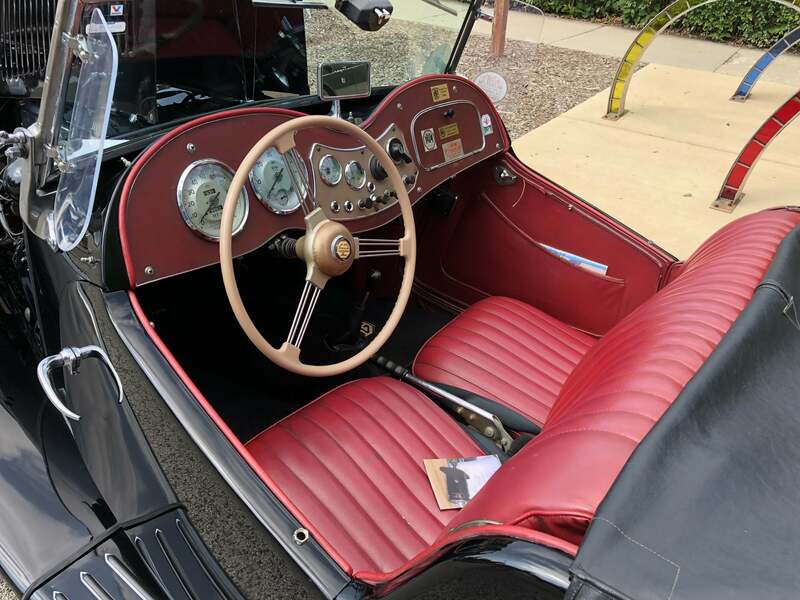 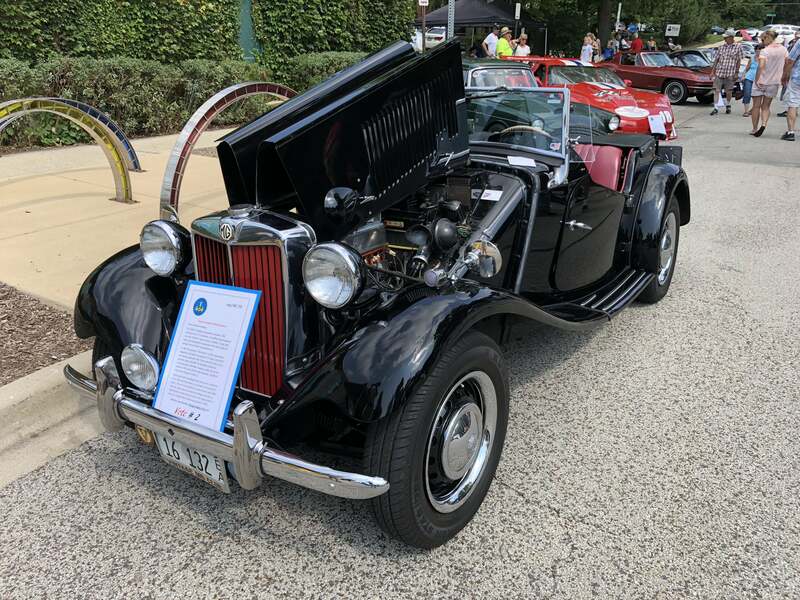 The event historically has a large entry and this year was no exception with over 200 cars entered in the concours, and with even more cars on display from local car clubs. 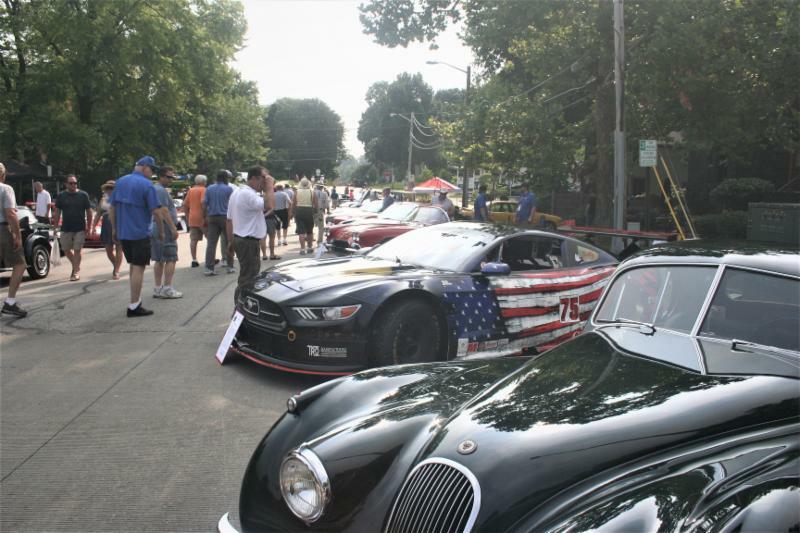 It is not uncommon to see historical, significant and celebrated vehicles at this event. 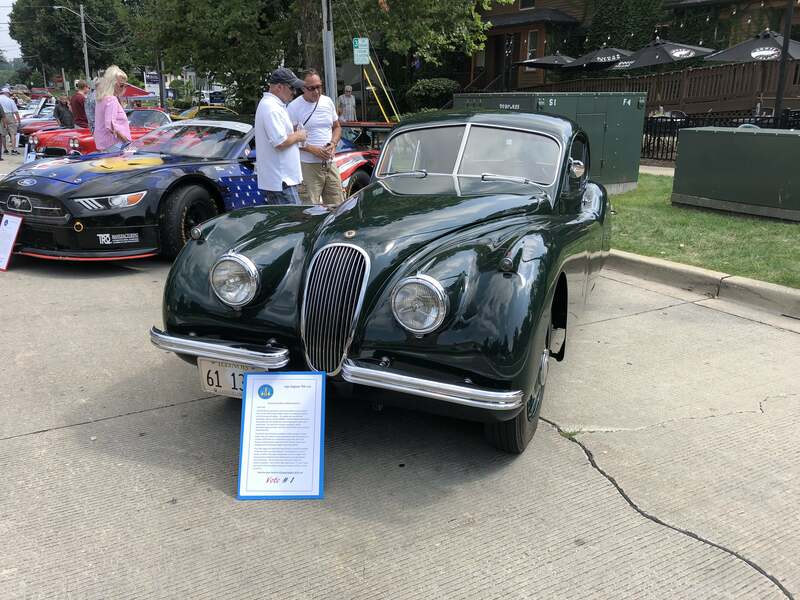 There were four Chicago Region members that had cars entered in the Geneva Concours, Al Sutton, with this 1954 Sunbeam 4dr Talbot Saloon, Tony McFarland with his 1973 Datsun 240Z race car, Tim Kautz and his 2005 Piper DF3 Formula F, and Bobby Rahal entered two Porsches, a 1966 906 race car, and a 1973 911 Carrera RS Coupe. 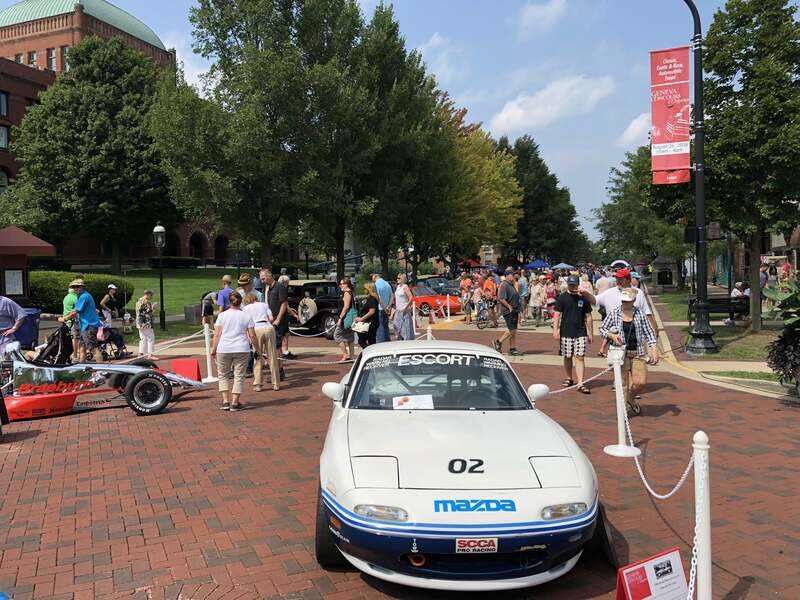 Rahal’s Porsche 906 took 1st place in the Race Car category followed by Kautz in 2nd place with his Formula F. Entry for visitors to the show is free with numbers estimated to be in the 15,000 to 20,000 range. 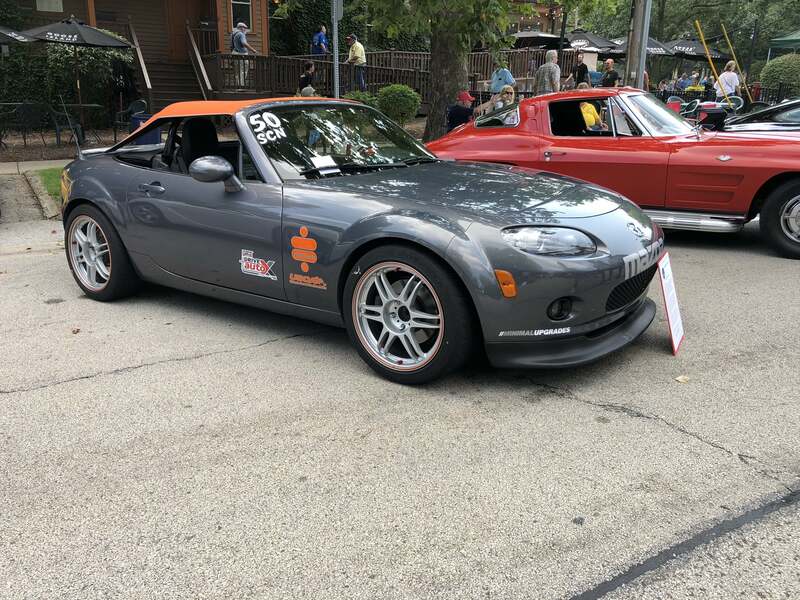 The event features this year were steam powered automobiles of all ages, Chrysler 300’s from the 50’s and 60’s, Mercedes-Benz SL’s, and the 70th Anniversary of the Chicago Region SCCA. 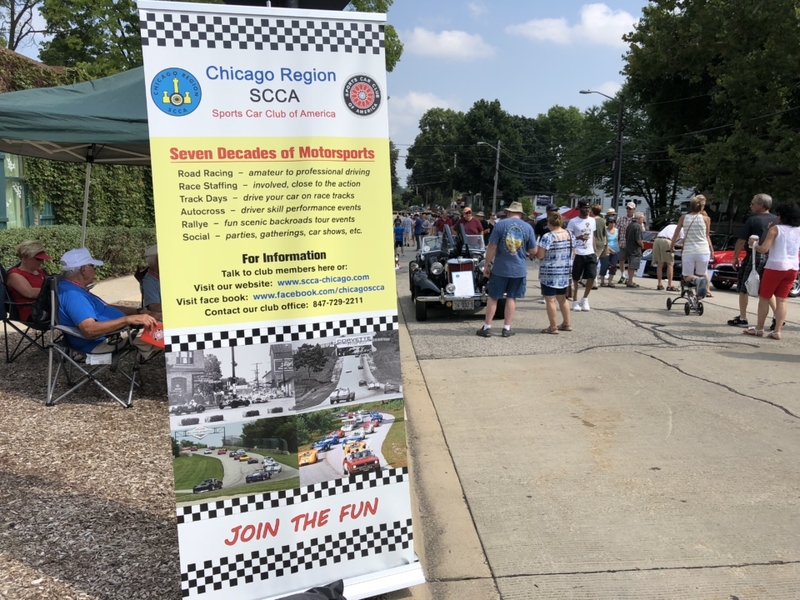 With our 70th Anniversary, the Chicago Region SCCA began our celebration of “Seven Decades of Motorsports”. 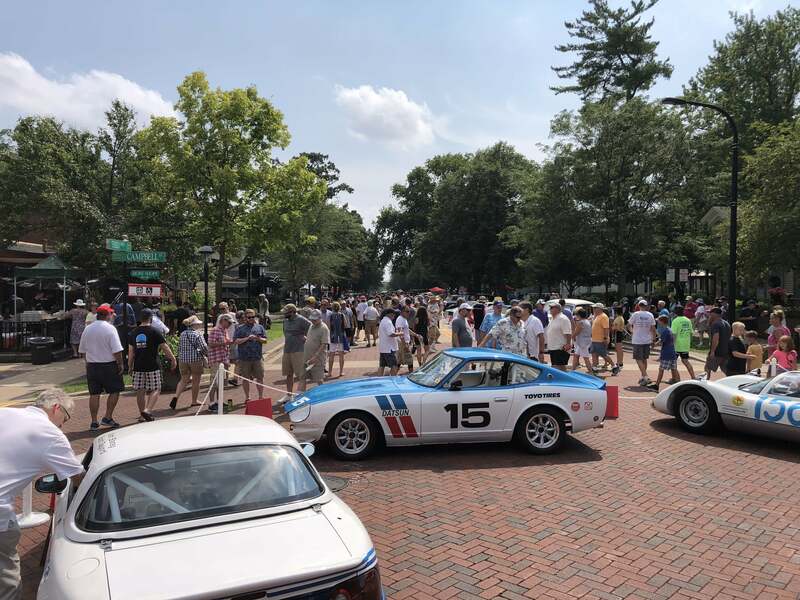 This event is just one of the many that have taken place or will take place in the future to celebrate our history, our friends, and our sport. 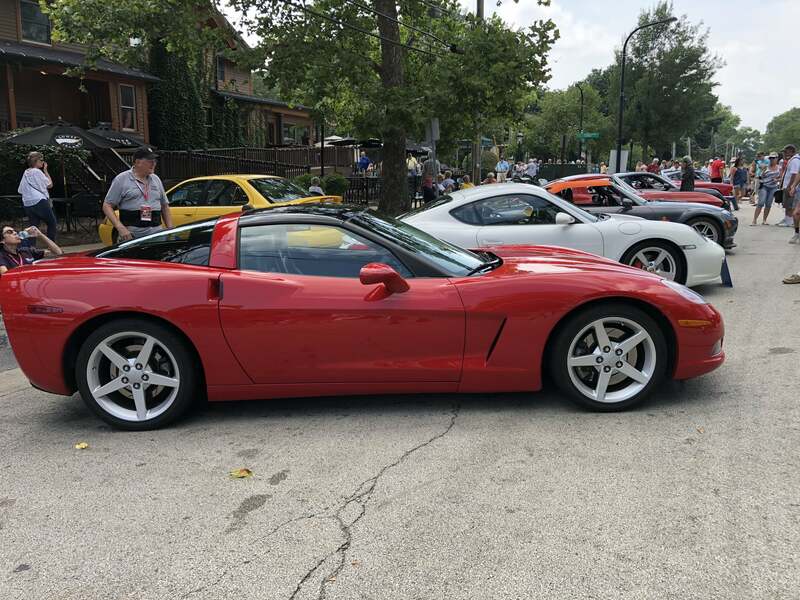 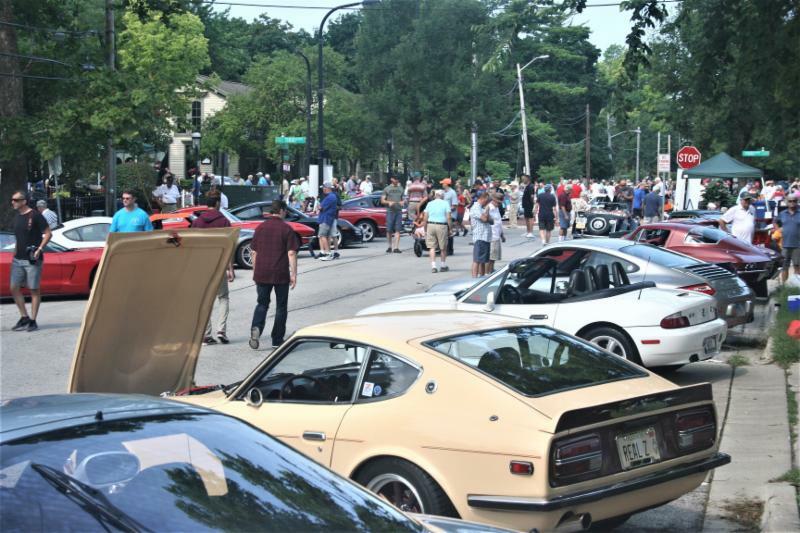 The Geneva Concours d’Elegance was a grand opportunity to showcase the Chicago Region and the cars of our members in our “Concours for Sports Cars”. 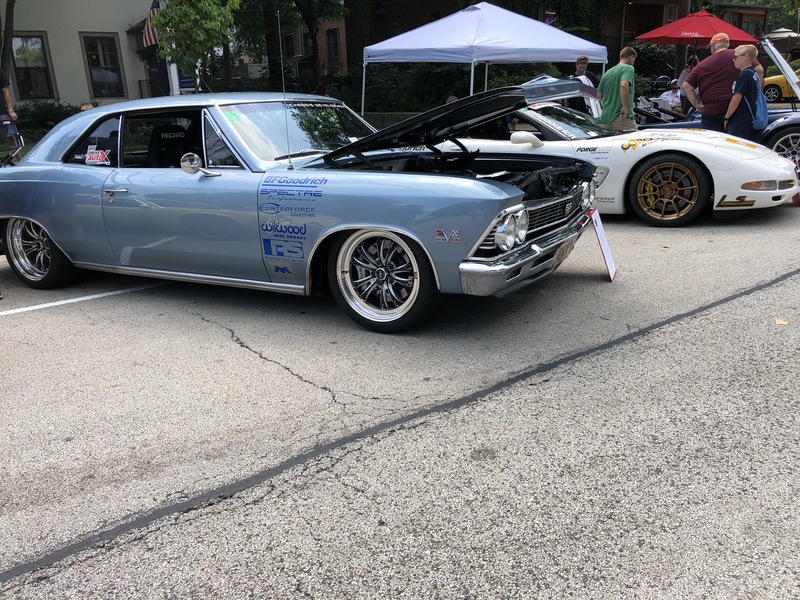 Twenty nine cars entered the Chicago Region show with all but one a current or past member of the region. 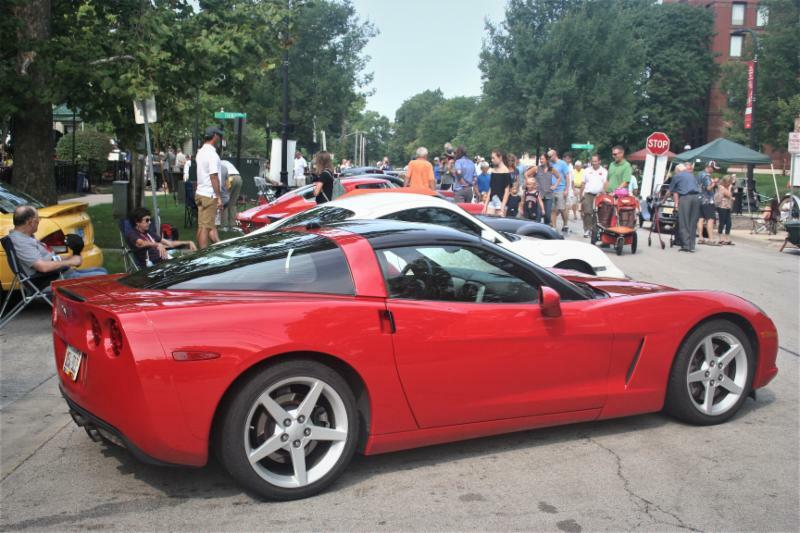 The age of the cars spanned six of the seven decades, we missed the 1940’s but had cars from 1952 through 2014. 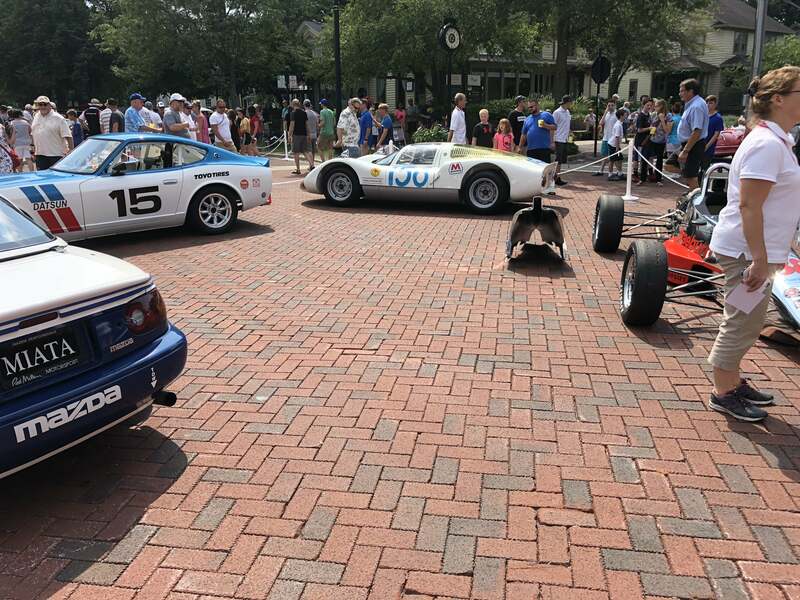 Here is a sample of some of the cars that were entered, Curt Bowland’s 1967 Tiger race car, Dan Samyn’s 1967 Austin Healey 3000, Bill Opperman’s 1971 Datsun 240Z, Carl John Sarro’s 1973 Lotus Europa Special, Mike Pesch entered his Spec-racer Ford, and Jim Marinangel’s 2003 Dodge Viper SRT-10. 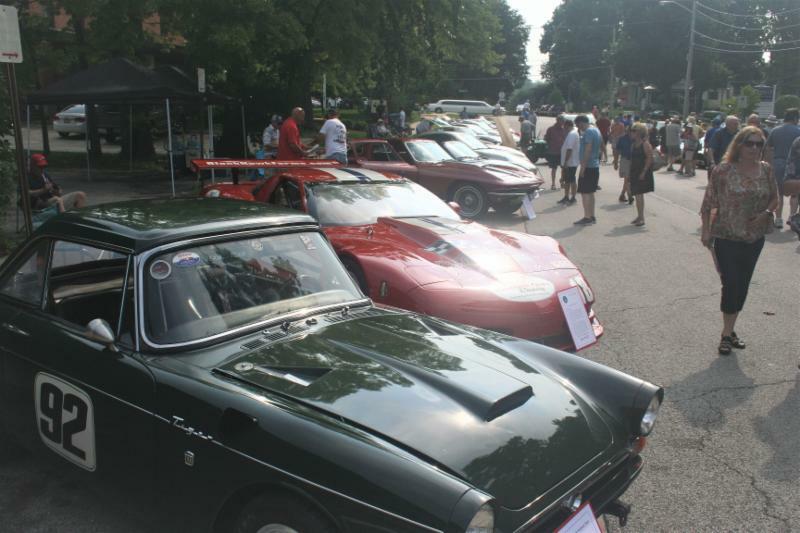 Nine awards were handed out at the end of the day. 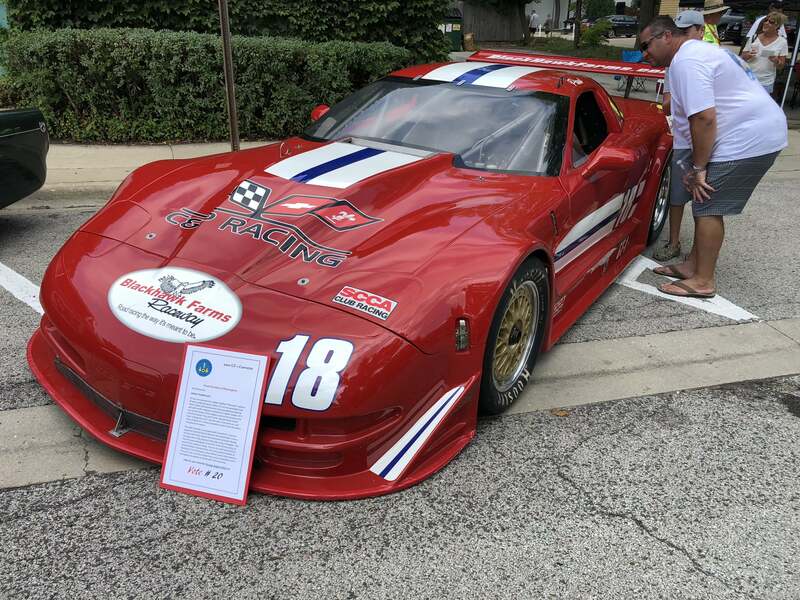 Paul Musschoot was the recipient of the Geneva Concours d’Elegance Carl F. Benz Award for his 2001 Corvette GT-1 race car. 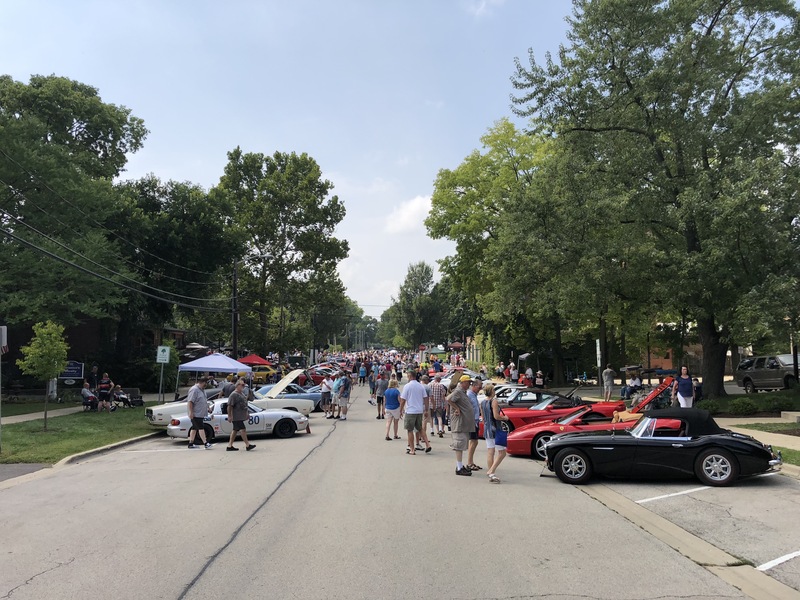 If you missed out on this opportunity to celebrate the “Seven Decades of Motorsports” there will be more, watch the Regions web-site and future Piston Patters for information about events that are coming up.